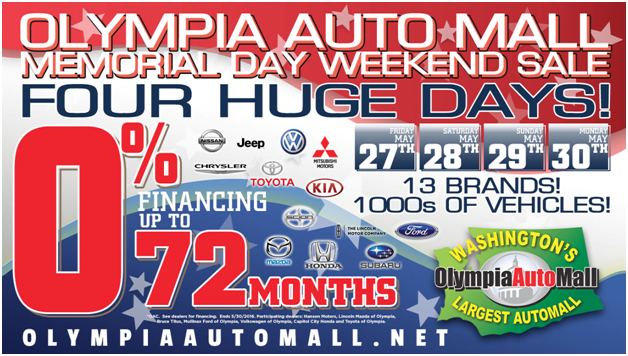 Four Huge Days of spectacular sales on 13 brands and over 1000 vehicles starting today, May 27th, at the Olympia Automall. A truly Memorial weekend. 0% financing for up to 72 months. Don’t be left behind. Come to Washington’s Largest Auto Mall and bring home your next car during these 4 fantastic sales days.